After the 3 days of blizzard "Juno", our office is back open! We hope all of our friends in New England weathered the storm safely. We got over 16 inches and all this snow made us think about ice... and how light can be used to turn ice into something truly spectacular! 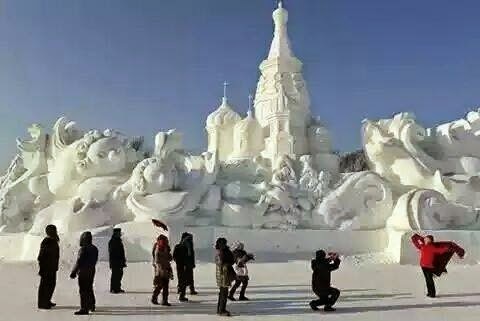 Every year, Harbin China hosts an International Ice and Snow Festival and the multiple sites are now open for locals and tourists through February 25th. 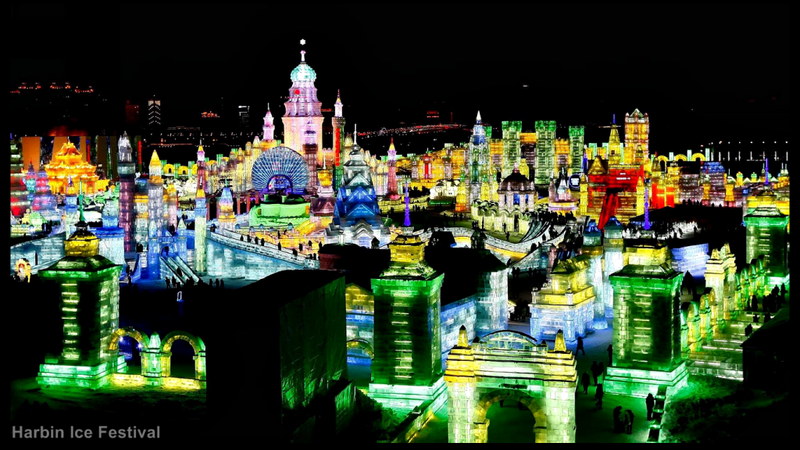 The festival tradition began by making freezing buckets of water and turning the ice into candle-lit "ice lanterns". With new and improving technology, these ice lanterns have transformed into massive snow and ice sculptures lit with LEDs. Check out the amazing photo below or their website for more information! Here are photos from our recently completed project! This week finds Kathy out on the road working on site at the Wade House Visitor Center and Wesley W. Jung Carriage Museum. Located in Greenbush, Wisconsin, the Wade House includes a number of interactive exhibits honoring the stagecoach era of American history. This on-site visit marks the end of the Wade House project for us here at ALD. While in Wisconsin, Kathy put the final touches on the aim and programming of the lighting for the Wesley W. Jung Carriage House and Museum. Home to Wisconsin's most extensive and diverse collection of carriages, sleighs, wagons, and more, the Wesley W. Jung Carriage Museum contains 70 horse- and hand-drawn vehicles! To find out more about the Wade House and the Carriage Museum, check out their website. Business Wire just released a news bulletin about SleepCompanion, an innovative light bulb that is designed to encourage a night of restful sleep! 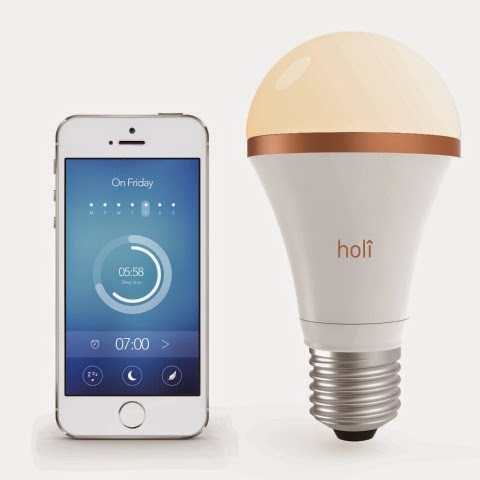 The new bulb (and corresponding smart phone App) is being manufactured by the European company called Holi and is now available for consumer purchase. The new bulb is designed to replace your current bed side lamp and (in coordination with your phone) gradually dims the light level as you fall asleep. It then gradually increases the light in advance of your morning alarm. We can't say if it would really help cure insomnia.... but it is certainly an innovative idea! Let us know what you think of it! You never know what they'll come up with next! Check out the Business Wire article for all the details.